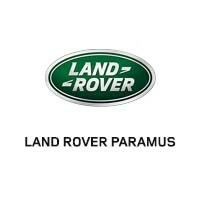 Get behind the wheel of an utterly unique subcompact crossover with the new Land Rover Range Rover Evoque, available now near Englewood at Land Rover Paramus. Not only does the new Range Rover Evoque emphasize style, but it also comes in an array of trim levels with a variety of feature options, so that you can mix and match to completely customize your vehicle. Create your own today when you get in touch with the dealership! Take the drive from Saddle River to go for a test drive and complete financing today! Learn more about technology features, safety features, and how the Land Rover Evoque compares to other models like the Land Rover Range Rover Sport and the BMW X3 with us too!